When Rex Hale left his longtime position as Boundary’s executive chef to open his own place with friend and colleague Kelsi Baker Walden, we knew we’d make the drive out to Godfrey. Bakers & Hale is a farm-to-table restaurant with a substantial working garden and plans to expand. 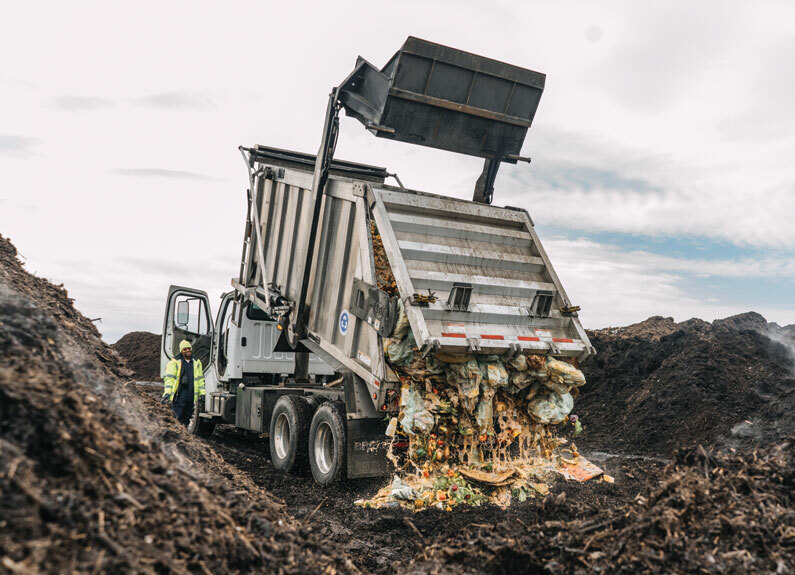 Most of the ingredients are grown onsite or sourced within a 50-mile radius. There is a massive patio and bar area, but you’ll want to sit in the dining room to see what the kitchen can do (otherwise you’ll only have access to the bar menu). Start with an order of satisfying pecan pesto-white bean-green chili dip, served with thick house-made tortilla chips. 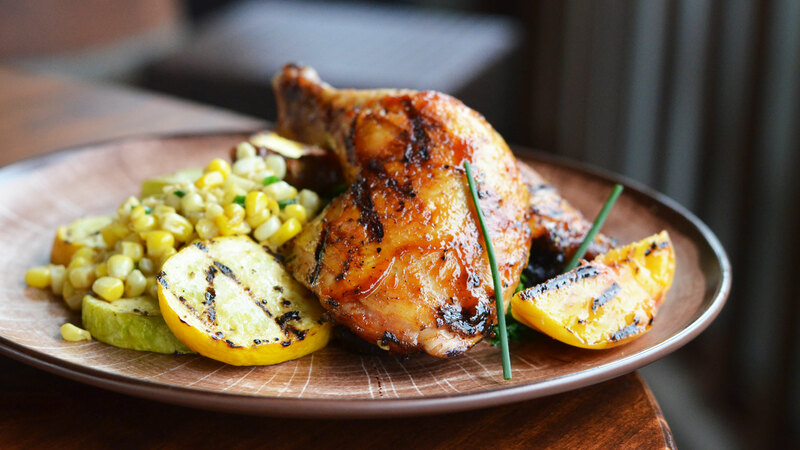 Then take your pick from the seasonal plates like the smoked chicken legs with peach-chili glaze served over sweet corn and grilled summer squash, or the beautiful seared scallop dish with three large scallops nestled in a bed of chopped summer squash, corn, tomato and lemon verbena. 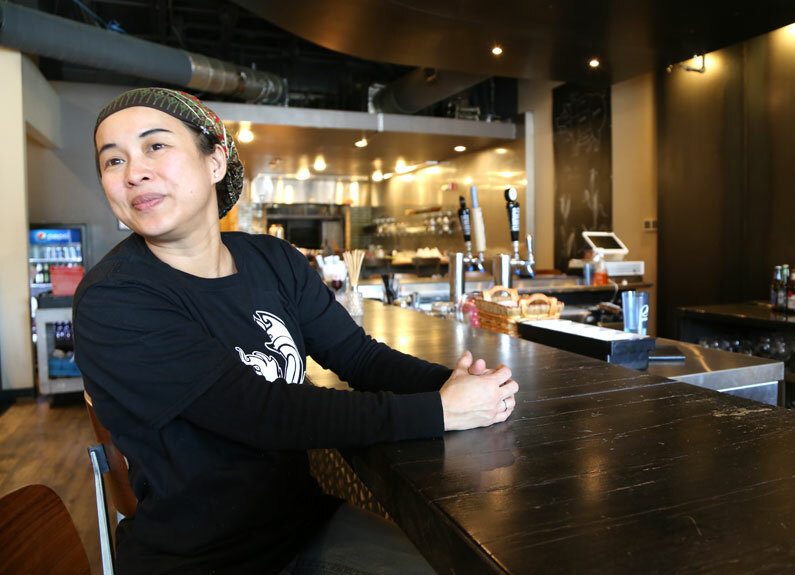 It takes guts for an out-of-state brewpub chain to take on a city as sudsy as St. Louis, but Michigan-based HopCat delivers at its newest location on The Loop. Nearly 100 taps flow with mostly Missouri brews. The rotating list is littered with local favorites like Earthbound Beer and Perennial Artisan Ales, as well as out-of-state breweries like Prairie Artisan Ales and Against the Grain. Take your brew out to the beer garden for backyard vibe straight out of South City. Adirondack chairs ring a large fire pit and strings lights glow above coloful four-tops and long wooden picnic tables. Pair your pour with HopCat’s famous Crack Fries, dusted with salt, black pepper and just a hint of sugar and accompanied by a gooey, house-made cheese sauce. Larger appetites can dig into Detroit-style pizzas, your own personal square of edge-to-edge cheesy goodness, and when cool weather finally arrives, we’ll hit that fire pit with a bowl of hearty vegetarian five-bean chili and a roasty stout. Of the dozen house-made ice creams at this neighborhood spot, five are vegan. Try the dairy-free options like Oreo cookie with a coconut base – it tastes just like a Caramel DeLite Girl Scout cookie – or the pineapple coconut, which has a smooth, sweet base studded with chunks of real fruit. The dairy-full praline pecan is particularly rich with a nice contrasting crunch of nuts. Get creative and mix more than one flavor – we loved the caramel and coffee ice creams in a heavenly shake – to enjoy on the peaceful patio. 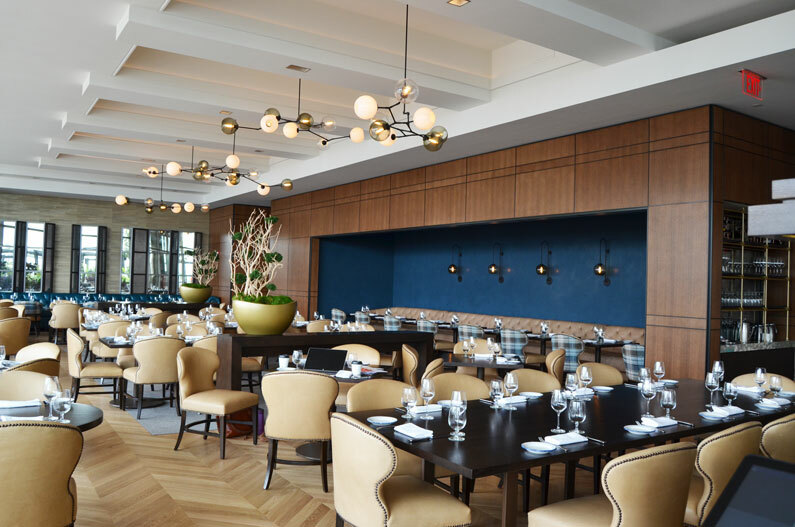 Gerard Craft has moved into the Four Seasons Hotel downtown, and we’re more than happy about it. His South American-inspired Cinder House replaced Cielo on the eighth floor of the hotel with a swank remodel including the impressive Arch-adjacent balcony. Enjoy the view with a starter of Dia’s cheese bread, aka pao de queijo, a Brazilian cheese roll with a heavenly, stretchy texture. Served with prosciutto, lardo and pickled shallots, it is surprisingly filling, but don’t let that stop you from ordering the coxhina, croquettes filled with grilled chicken and cheese, served with a rich and tangy aji amarillo sauce. The super savory and moist grilled lamb ribs are another standout, but try to save some room for an entree. A parade of steaks benefit from a range of South American sauces beyond the excellent chimichurri, and the moqueca fish stew, a Brazilian staple, is not to be missed – a medley of seafood including whole prawns, meaty snapper and octopus is doused tableside by a carafe of spiced coconut milk-based broth. Mike Eagan is turning out top-notch hot dogs in an equally unpretentious space. The counter-service eatery serves a small menu of dressed-up dogs that start with all-beef franks from local purveyor Red Hot Lou. Toppings are generous, but don’t overwhelm the beefy flavor. 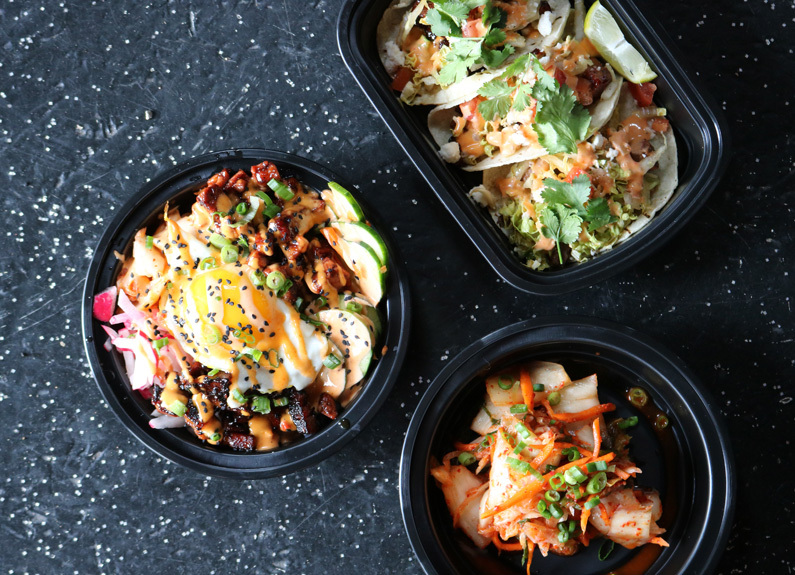 We’re partial to the Polish sausage topped with fried potato, sauerkraut, caramelized onion and spicy honey mustard, or the Old Mexico with adobo sauce, queso fresco, a black bean-corn relish, jalapenos for kick and a drizzle of chipotle aioli. A cup of Mike’s Texas-style (meaning mostly beef and few beans) chili is perfect with a sprinkling of raw onion and cheese or for the makings of a classic chili dog. Boba teas make up the bulk of the menu in this minimalist sweets shop. The taro milk tea, a lavender-colored drink with boba was satisfyingly sweet, and we couldn’t resist the Oreo milk tea with crushed cookies nestled among the tapioca bubbles. Those up to date on Asian food trends will want to order a cheese tea – surprisingly delicious, topped with a dollop of whipped cream cheese. Check out the other dessert options, like a colossal piece of toast with ice cream, whipped cream and fresh fruits in a variety of flavors, from matcha to chocolate, or the mixed berries maple syrup waffle with a drizzle of maple syrup along with fresh strawberries, strawberry ice cream and whipped cream.